[S2342] RUNCIMAN Misc. web searches & correspondence Walter, Baron RUNCIMAN, Oxford Dictionary of National Biography, online edn, extracted Jan 2008. [S2449] Wikipedia online at http://en.wikipedia.org/wiki/Main_Page, Walter RUNCIMAN 1st Baron Runciman (6 Jul 1847 - 13 Aug 1937), from http://en.wikipedia.org/wiki/…, extracted Feb 2010. [S3188] Electric Scotland online at http://www.electricscotland.com, Photo Sir Walter RUNCIMAN, online at http://www.electricscotland.com/history/other/…, May 2013. [S202] 1851 Census images, England & Wales, via Ancestry.com, Civil Par. Hauxley, Sub Dist Warkworth Dist Alnwick, NBL HO107/2419 ED 18a F 133 Pg 15 Sched 49, hsehold of Walter & Jane RUNCIMAN, extracted Jun 2009. [S2333] Rootsweb Msge Board online at http://boards.rootsweb.com, RUNCIMAN mailing list, (http://www.guernsey.net/~sgibbs/runciman/) postingSep 2002 by Steven GIBBS, extracted Sep 2005. 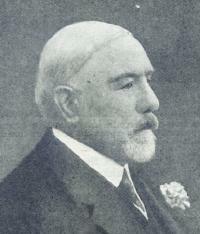 [S2693] Oxford Dictionary of National Biography, online ed online at http://www.oxforddnb.com/, A E Johnstone, 'Runciman, Walter, first Baron Runciman (1847-1937)', rev D M Cregier,Oxford University Press, 2004, extracted Jan 2008. [S2923] Steve GIBBS (d. 2009), "Family of Thomas RUNCIMAN and Alison GRIEVE ex Steve G's RUNCIMAN pages", Extracted and published under the sources page of the RUNCIMAN One Name Study (http://runciman.lornahen.com/lineages/s1.htm#s2923), Marr. 26 Mar 1869 Walter RUNCIMAN & Ann Margaret LAWSON, extracted Feb 2010. [S1599] Findmypast online at http://www.findmypast.com, Marr. 1869 Q1 Amelia Webster LAWSON & John Finlay RUNCIMAN; Also Annie Margaret LAWSON & Walter RUNCIMAN, reg. Morpeth, NBL, 10b/395, extracted Nov 2012. [S3062] Project Gutenberg Online Book Catalog online at http://www.gutenberg.org/, Walter RUNCIMAN (1847-1937) see http://www.gutenberg.org/browse/authors/r#a5889, extracted Feb 2010.